What can Jiu-Jitsu offer to children with ADD/ADHD? 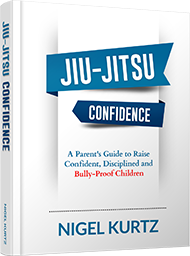 Jiu-Jitsu enables children who struggle with attention and hyper-activity to embrace the positive traits of ADD/ADHD and challenge the negative ones. What can you gain from Jiu-Jitsu that isn’t naturally fostered by a team sport like basketball or soccer? Instead of focusing on comparing your skills to others, martial arts are focused around an individual’s personal growth. This makes it a great outlet for all children, and especially helpful for children with behavioral and emotional challenges. 1. Social – Teaches the importance of leadership, teamwork, respect, accountability and honesty. Giving requirements to kids with ADD/ADHD builds responsibility and independence. Holding them accountable for their actions is a major and necessary step in their development. 2. Emotional – It builds self-confidence, mental/physical control, courage and perseverance, which we believe to be one of the most important lessons. Children with ADD/ADHD need to be challenged to go above and beyond the expectations they have set for themselves, encouraged to never give up on their goals, never letting limitations or setbacks stop them from becoming successful. For these children, mental/physical control can be very difficult to manage. Jiu-Jitsu engage and stimulate the mind and body from start to finish. 3. Intellectual – Gives students the focus and training to become self-disciplined. Since kids with ADD/ADHD constantly struggle with focusing and staying on task, Jiu-Jitsu instructors treat the brain just like every other muscle in the body, pushing it to its limits with memory and concentration games, as well as educating each student in how to apply every skill we learn, at home, at school and everywhere else they go. 4. Physical – It trains the body to have balance, speed, agility, flexibility, strength and coordination. Every class is a challenge, working on a range of health and fitness aspects that apply to every physical activity.